Residents in many districts seem satisfied with the Supreme Court-monitored exercise, say it will help identify illegal immigrants. Kamrup Rural/Nalbari/Barpeta districts: Missing names may be a common complaint in Assam following the publication of the first draft of the National Register of Citizens (NRC), but people seem to be happy with the Supreme Court-monitored exercise which aims to weed out illegal immigrants. First published after the 1951 Census, the NRC is now being updated with 1971 as the cut-off year following the Supreme Court’s order. The issue of illegal immigrants from Bangladesh has been a delicate politcal issue in Assam, and their deportation was a key campaign theme of the ruling BJP ahead of the 2016 assembly elections. However, ethnic minorities fear that some of them may be targeted in the process. 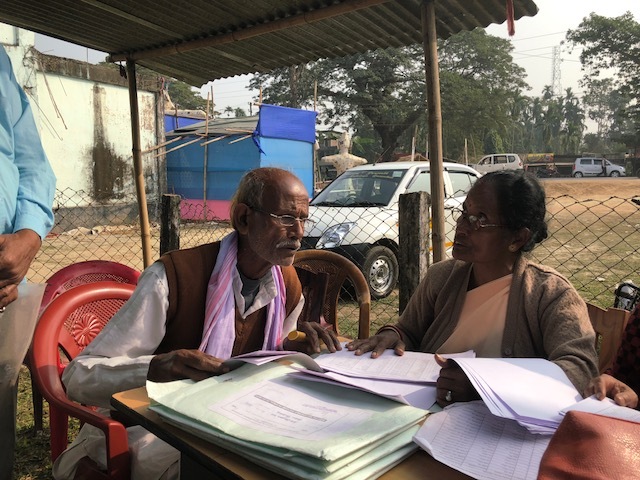 “We have been told not to worry…This is a good exercise; it will help identify all the immigrants who have been using up our resources,” said Samudra Narayan Das (76), a resident of Chaygaon in Kamrup Rural district. Of the nine members of Das’ family, names of seven have appeared in the list while two of his children haven’t found mention in the first draft that was published on the midnight of 31 December. “Their names will appear in the second list. We are proud Assamese, why should our names not appear,” Das told ThePrint. Applicants have to submit documents to prove that their names appeared in the NRC of 1951, or in any of the electoral rolls of Assam until 1971, or in any of 12 other documents issued before 1971. Nibharani Debi, who checked the list at the Chaygaon NRC centre, said her name hasn’t appeared yet but those of her husband and in-laws have. Explaining the process, she said she had stood in the queue and submitted documents for her entire family in 2015. The NRC centre then gave her an acknowledgement receipt, along with copies of all the forms and other details. The local officer at the NRC centre said that community level meetings and awareness programmes were held before the process began. “We told people there is nothing to fear and had explained what documents are needed,” Rakesh Das, a local NRC official, told ThePrint. “Field level officers were mobilised on a large scale. In this particular centre, 3,903 people had applied and of that, 64 per cent names appeared in the first list,” he added. At the NRC centre in Boko block, NRC official Abdul Khalid said the documents submitted by individuals had gone to various departments for verification. “Delays are happening because different departments take different amounts of time to verify. That is why sometimes in a family, some names have appeared but others have not,” Khalid said. Most people ThePrint spoke to said the NRC update is a “good step as it will help the ethnic Assamese people establish their rights and identify immigrants”. “Of the five people in my family, names of four have been approved, but we faced no major inconvenience. This is a very good exercise. How can we not support it,” asked Khogneshwar Barman of Barama in Nalbari district. “The original people of Assam will get their rights. Bangladeshi immigrants who have flooded Assam will be identified,” Barman added. Niranjan Rabha of Deliapara village in Kamrup Rural claimed “outsiders were causing too much trouble in the state” and this exercise would help fix that. 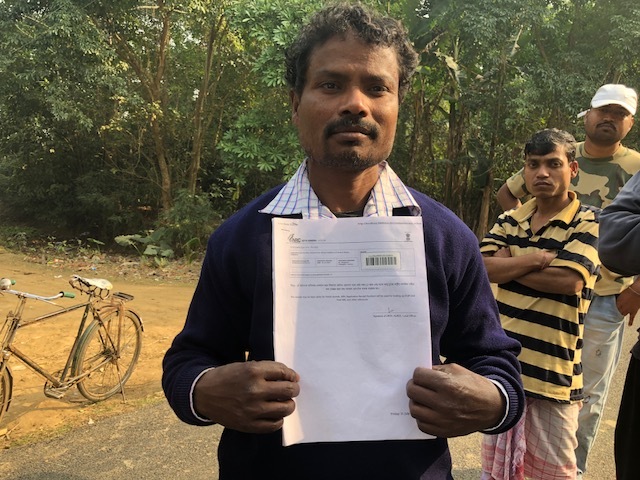 Nogen Bashir and Arshad Ali Choudhury of Barpeta said while some of their family members’ names have not appeared in the list, they aren’t worried since they submitted all required documents. “We didn’t feel any inconvenience. And even if we did, we want to ensure the state officially establishes the difference between Assamese people and the illegal immigrants and for that, this exercise is good,” Bashir said. 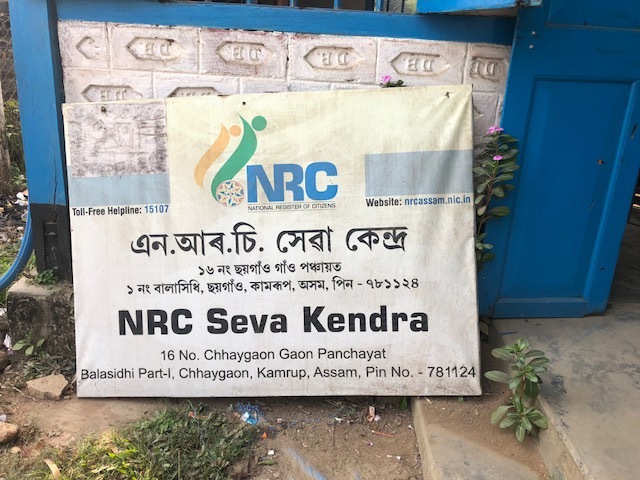 Although they support the NRC update process, many people are unaware of how it is being carried out and why names of a large number of people are missing in the first list. “There are five members in my family, of which names of two — including my father — have not appeared,” said Munna Mukud Das of Makeli village in Kamrup Rural. We gave all documents together. How then is it possible that his name hasn’t appeared? There is something fishy going on,” he said. The issue of illegal immigrants from Bangladesh has been a political hot potato in Assam for decades, and the BJP naturally hopes to benefit from this exercise by taking credit for executing it. As of now, however, most people do not seem to look at it as a BJP initiative and are well aware that this is a Supreme Court monitored exercise.